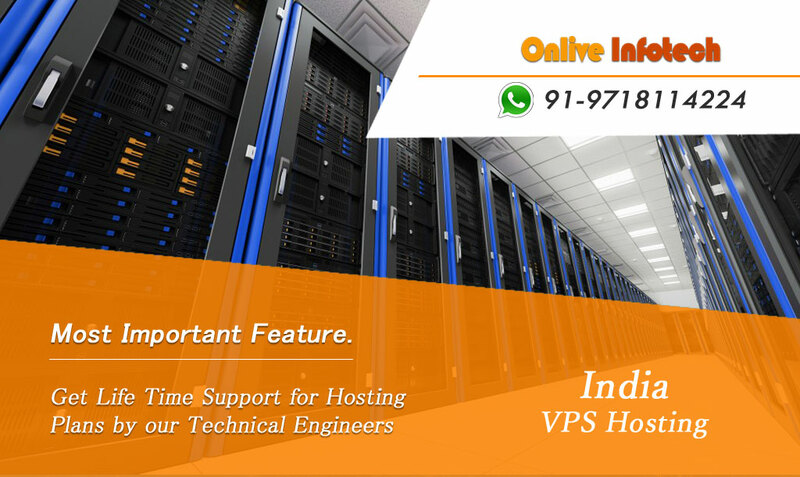 Presently, Onlive Infotech LLP declared the affordable VPS Server Hosting plans with India based Data Centre (Noida). Buy Linux based VPS Hosting plans from our website and get totally control on your plan. Here you will get most essential feature with VPS Plans that is regular data Protection. We upkeep your Server Data very professionally in our storage. Our India VPS Hosting plans start from $25/ per month and get also unique features like: 1 Core, 1 GB RAM, 30 GB HDD, 1000 GB Bandwidth, KVM VPS and more. It’s a best option for your website because we are providing Virtual Private Server with pre-install web Hosting Control Panel whereby you can manage your website easily with GUI based Web Hosting Control Panel. Order Now!!! ISPConfig, ZPanel, Webmin, Virtualmin: Its features are almost same like: firewalls for plan, management of database systems, Cpanel management for multiple servers, ultimate Support IPv6 single Internet protocol, DNS Manage, FTP administration and website availability. These features are also in Ajenti Web hosting Panel Apart from support IPv6. We also provide best configuration of highly premium Plesk panel for your VPS plans. Get WHM support gently and friendly by our web hosting technical engineers. If we talk about VPS Server so, that is a disengaged virtual machine on a physical server. All website and gaming application need to web hosting plan to make an enough space on the Internet world. VPS Server Hosting India is highly necessary for all types of websites, online stores and eCommerce website. Buy India VPS Server Hosting Plans with the flexible payment method. Rapid server speed is one of the excellent solutions for business website growth. Make your business website better with our VPS Hosting plans because our plans give you ultimate connectivity for run faster on technological World. If you buy our VPS Server Hosting India plans then, you will get (Noida) India Based Data Centre that will help to you increase the heavy traffic on web world. Whereby your website gets boom on Skyrocket. A leading Server Hosting Company provide Cheap and best server hosting plans for more than 30 countries. Available all server hosting plans like Dedicated Server, VPS Hosting and Cloud VPS server hosting.